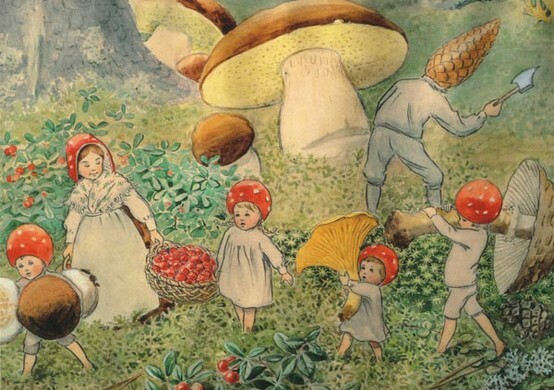 One of my favorite children’s books is Elsa Beskow’s Children of the Forest. I love how it tells the stories of this little woodland family through the seasons, particularly the autumnal scenes of foraging for mushrooms on the forest floor. It makes me want to grab a basket, a book, and a thermos of tea to go hunting for natural delicacies myself!